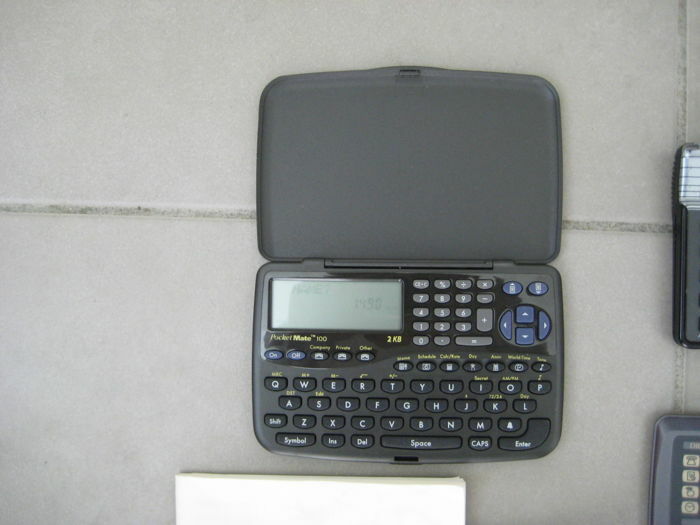 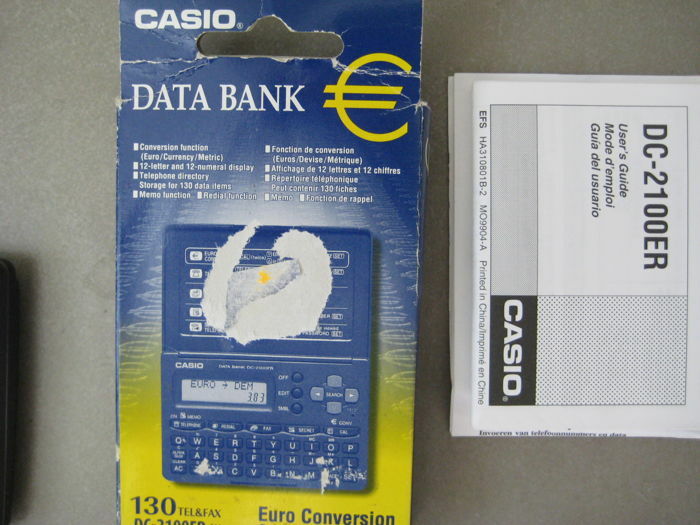 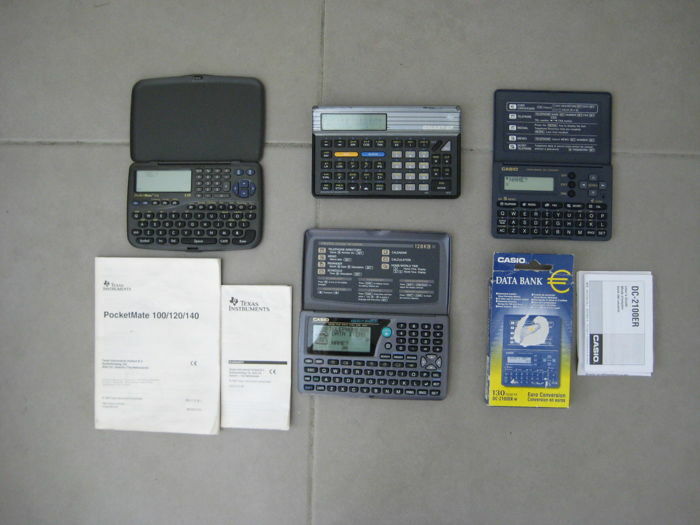 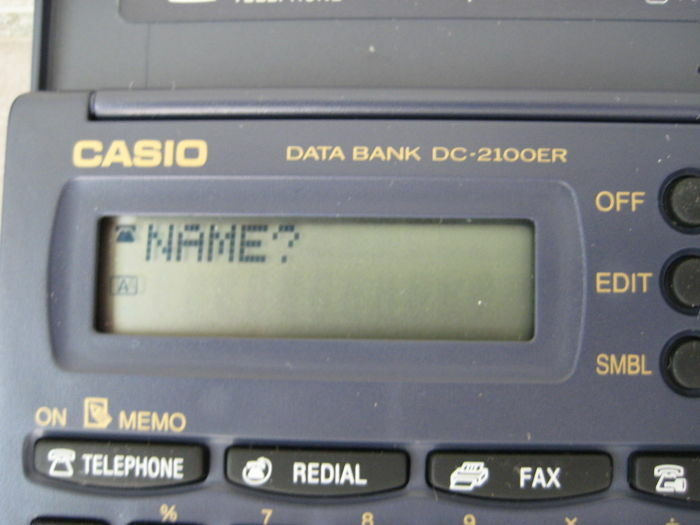 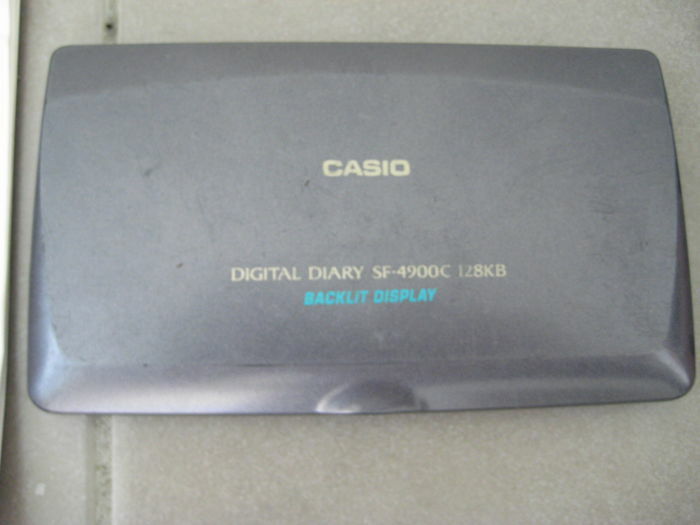 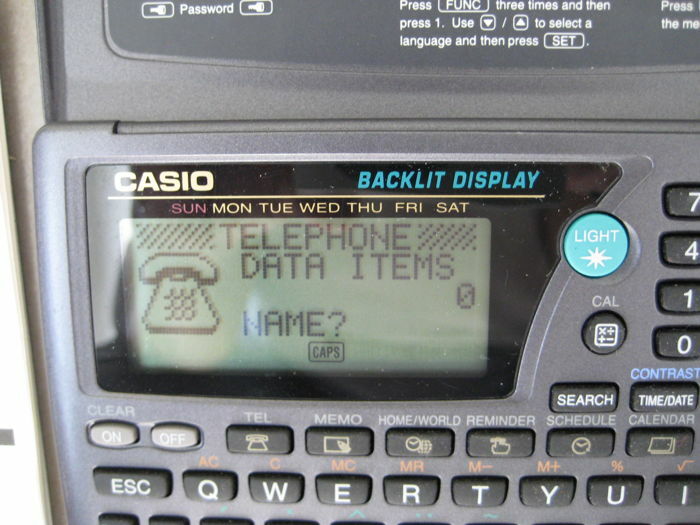 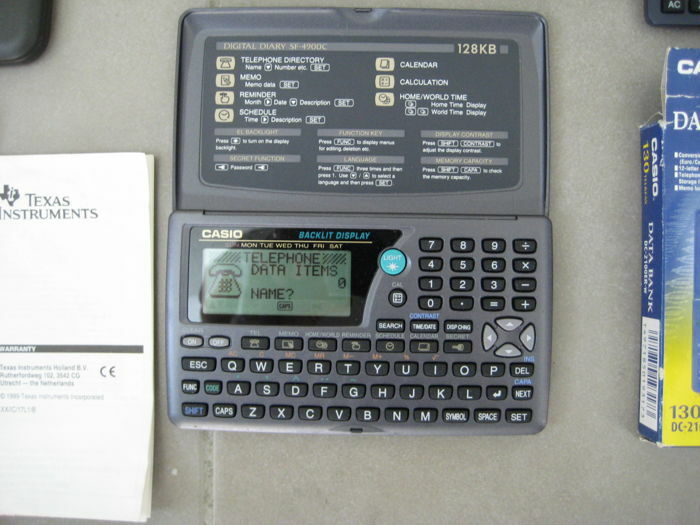 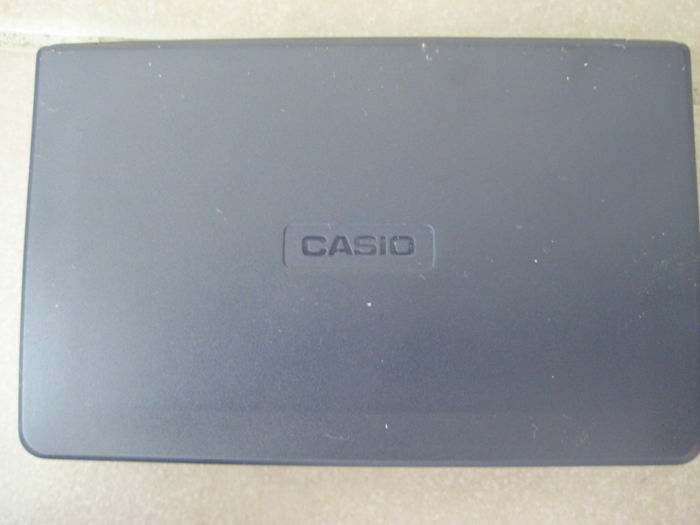 2 Casio DC-2100ER data bank for telephone numbers and currency conversion and a calculator. 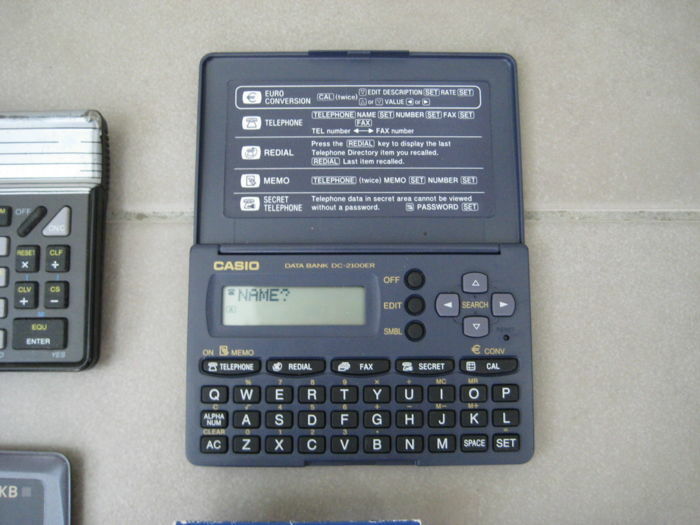 It has 1600 bytes of memory. 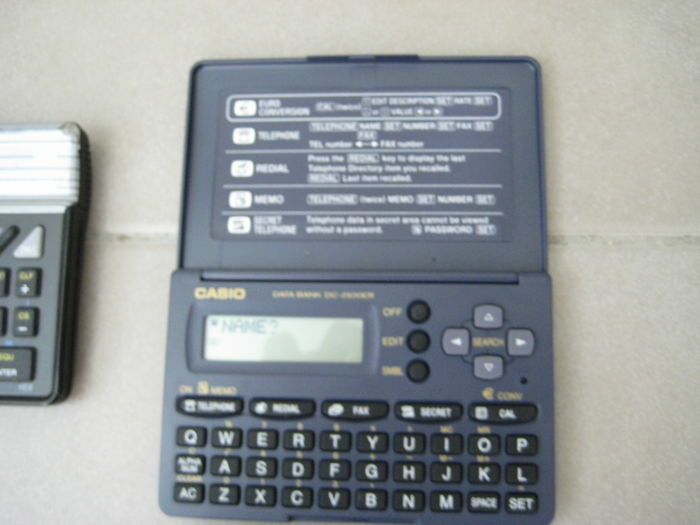 It has a two-line display, one line for numeric information and one line for alphanumeric info. 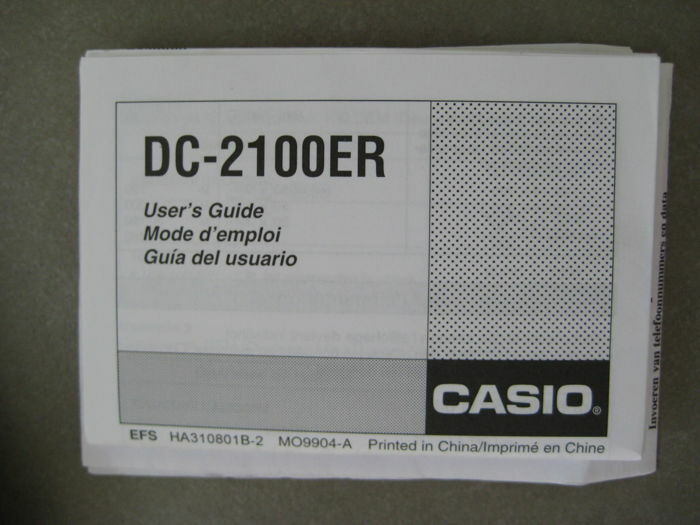 The "REDIAL"-key shows the last item browsed. 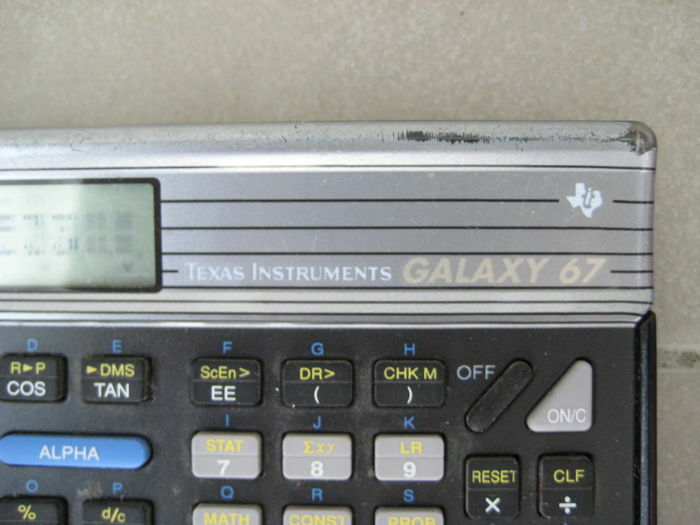 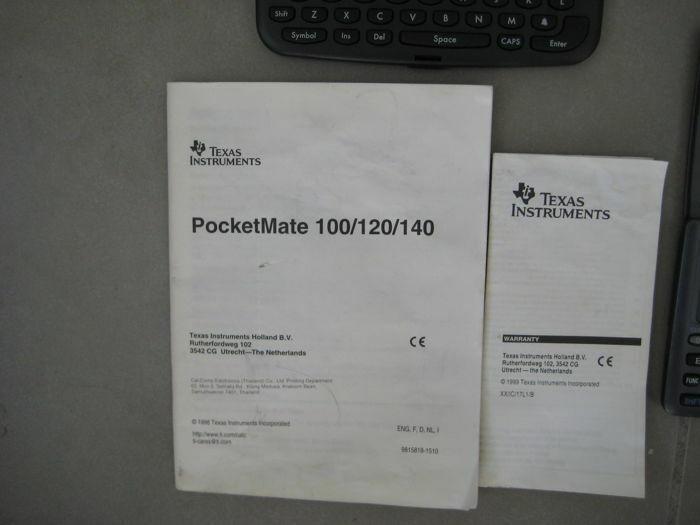 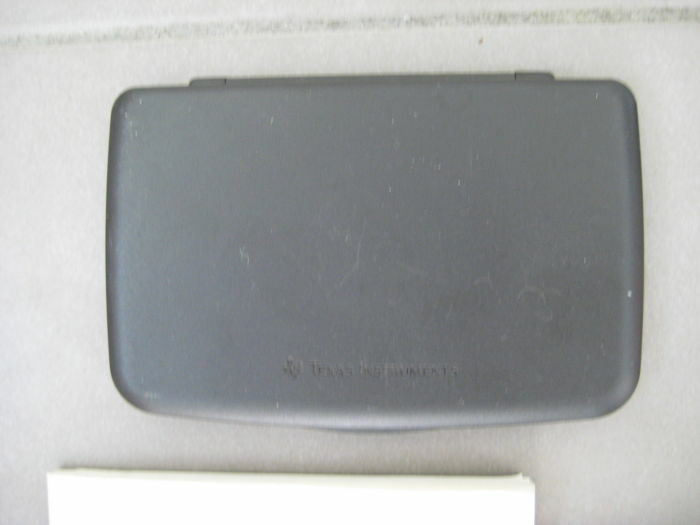 4 Texas Instruments introduced with the Galaxy 67 in 1992 a calculator based on a very powerful microcontroller in the package of the Galaxy 9x and Galaxy 40x. 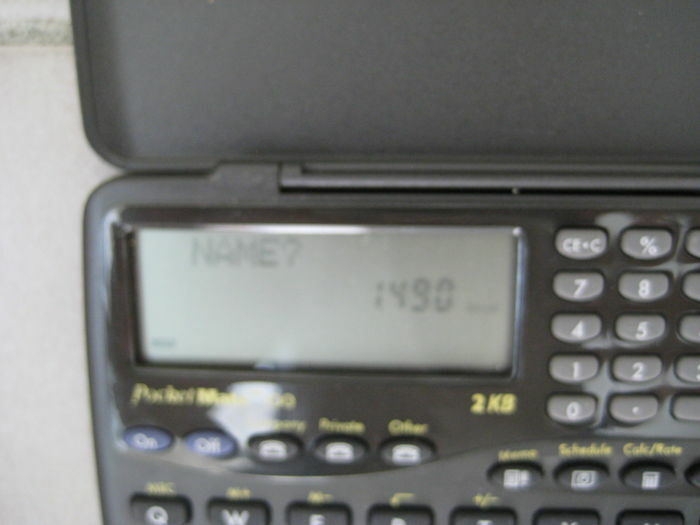 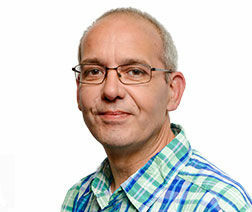 The user might configure the overall memory of 1536 bytes according to his or her requirements. 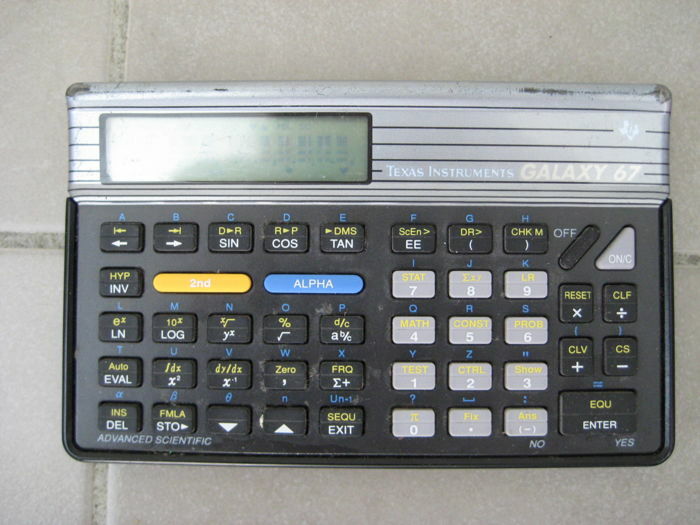 Compared with other "Formula programmable" calculators this beast uses both the formula method and traditional programming. 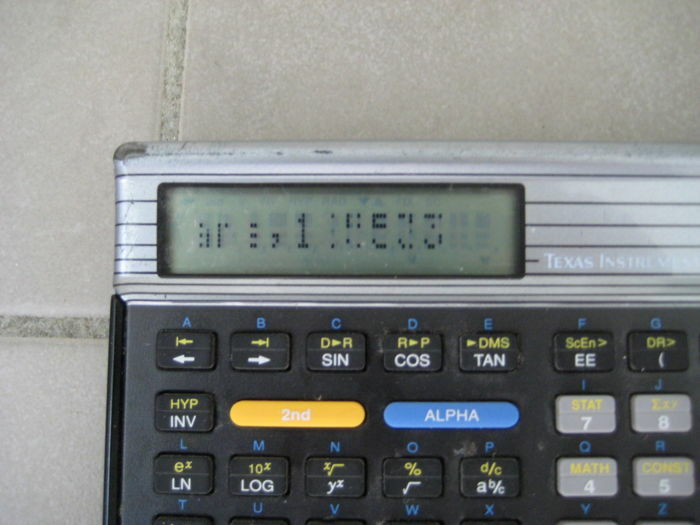 U kunt dit kavel ook ophalen bij de verkoper: Appeltern (GELDERLAND), Nederland.